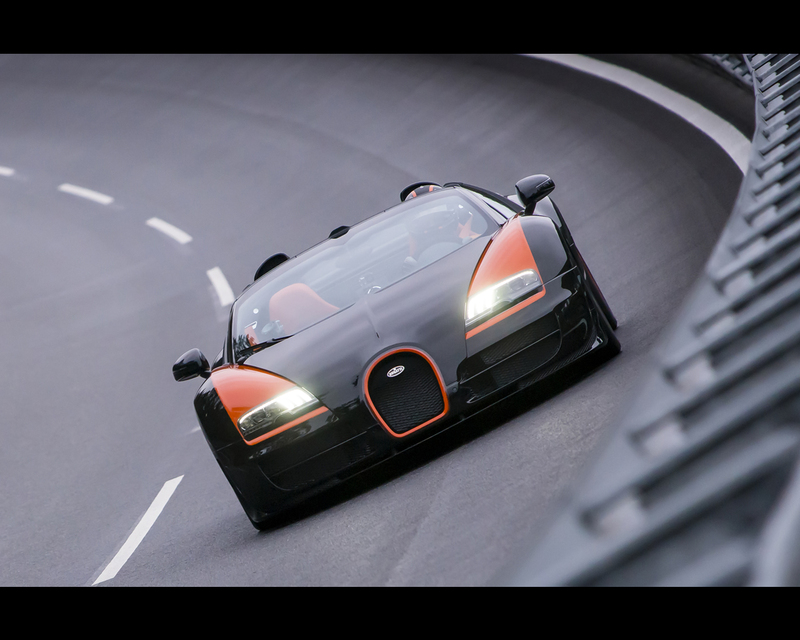 Wolfsburg/Molsheim, 11 April 2013 – The world’s fastest roadster is a Bugatti. The Bugatti Veyron 16.4 Grand Sport Vitesse has set the world speed record for open-top production sports cars at the Volkswagen Group’s proving grounds in Ehra-Lessien where TÜV, the renowned independent German organisation for Technical Inspection and Certification, has officially confirmed that a top speed of 408.84 km/h (254.04 mph) was achieved. The Vitesse was driven by the Chinese racing driver Anthony Liu. The World Record Car will be unveiled to the world for the first time at the Shanghai Motor Show 2013 in April. 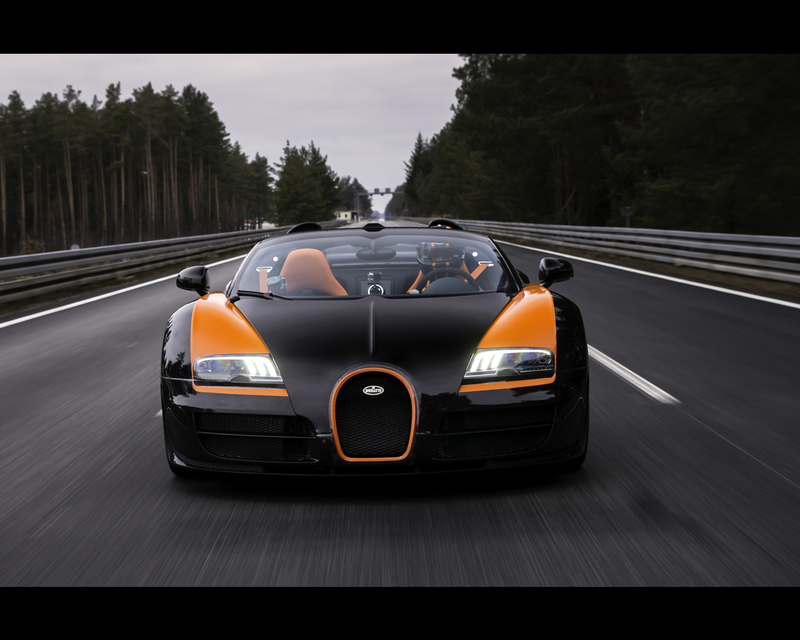 It is now official: the world’s fastest roadster is a Bugatti. 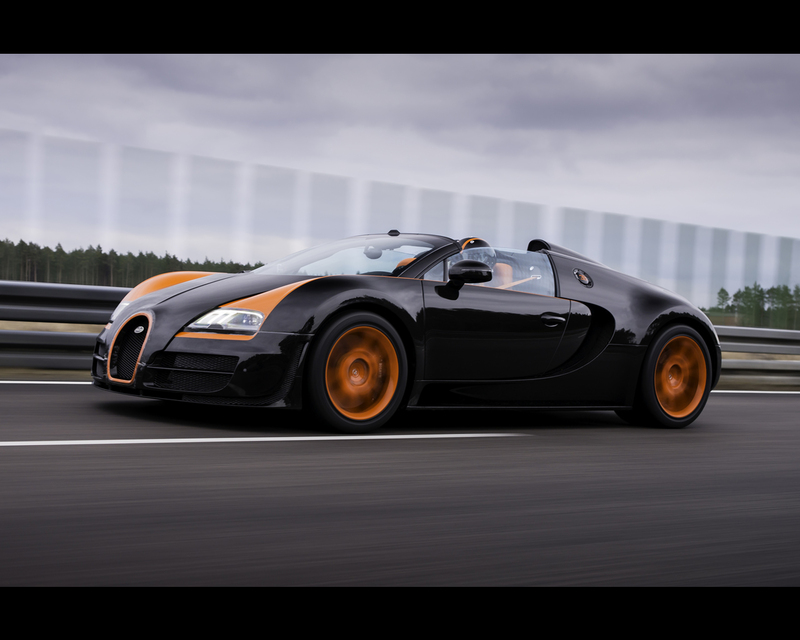 Following the spectacular record-breaking drive of the Bugatti Veyron 16.4 Super Sport in 2010, during which the coupé achieved a top speed of 431.072 km/h (268 mph), witnessed and officially confirmed by the renowned independent German organisation for Technical Inspection and Certification TÜV, an impressive speed that remains unparalleled to this day, Bugatti has added yet another milestone. 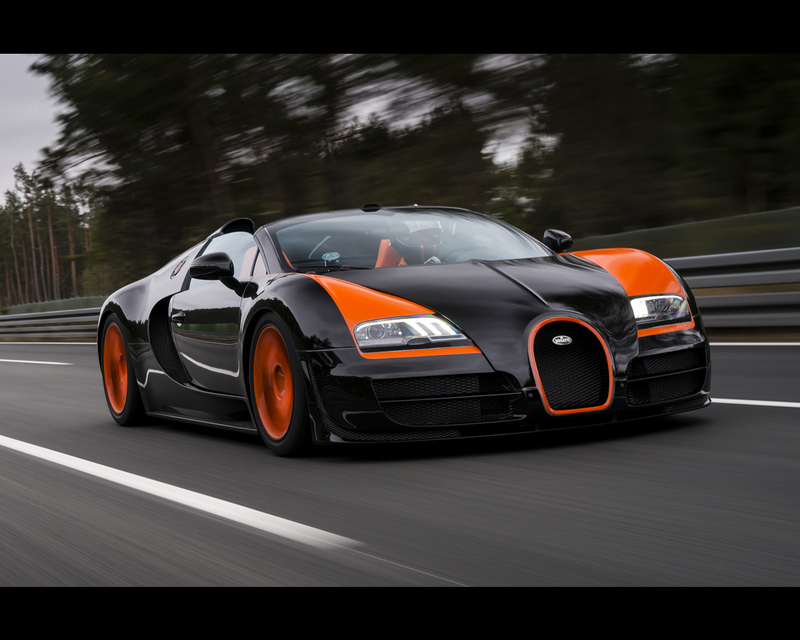 The open top version of the 1,200 PS sports car, the Bugatti Veyron 16.4 Grand Sport Vitesse, now also officially holds the world record. In the presence of TÜV, the open-top super car reached a maximum speed of 408.84 km/h (254.04 mph) at the Volkswagen Group’s proving grounds in Ehra-Lessien, making it the fastest open-top production sports car in the world. absorbers and reinforced anti-roll bars guarantees exact control of both the four-wheeldrive system and the entire vehicle. Other factors that enable such performance at the upper limits include a standard carbon monocoque with high torsional rigidity and an outer shell made entirely of carbon fibre. Keeping wind noise and air turbulence to a minimum in the vehicle’s interior is a particular concern with open-top vehicles. In the Vitesse, a specially developed roof spoiler along with an intricately designed windbreak guarantees calm open-top driving; indeed these were preconditions for reaching the record-breaking speed of 408.84 km/h. 1.99 million euros (plus tax).